Irish traditional group Project West tour Ireland for the first time ever this Summer. This follows a sell out 100 date tour of the USA. They perform at the National Opera House on Sat, August 13. 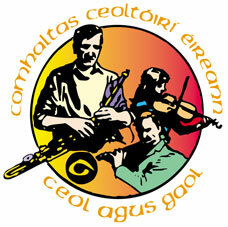 The group comprises some of the top young Irish traditional performers ... in the world! To coincide with the groups inaugural Irish tour the performers will conduct a series of master classes around the country. Anyone young people or students wishing to attend the Wexford masterclass can do so on purchase of a concert ticket. Attending students/performers will receive expert tuition and advice from the group’s performers and tutors. Instrumentalists will be tutored by ace accordion/melodeon player Damien Mullane (7 time Fleadh Cheoil na hÉireann winner), vocalists will work with sensational singer Niamh Farrell (a previous Fleadh Cheoil na hÉireann winner & All Ireland Scór winner) and accomplished accompanist Stephen Markham (former piano/accompaniment Fleadh Cheoil na hÉireann winner) will provide invaluable insight into the art of accompaniment within Irish traditional music. You can also learn from Colin Farrell (fiddle), Kieran Munnelly (flute, whistle & bodhràn) and Sean O’ Meara (guitar), all of whom have attained Masters in Irish traditional music from the Irish World Academy of Music & Dance (UL). Dancer Siobhán Manson will be present to offer advice and tips to Irish step dancers. Siobhán is one of the world’s most sought after Irish step dancers and has been the principal performer with Riverdance for more than 11 years.